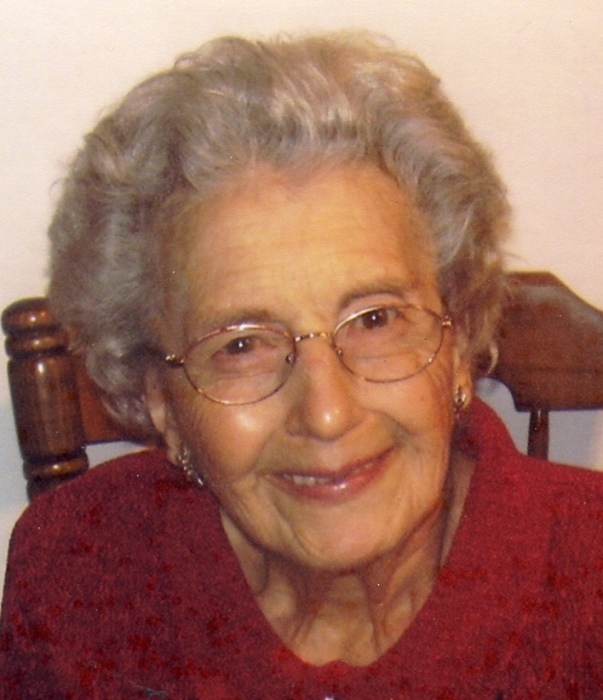 Mary Catherine Robinette, age 92, of Bedford, died at 3:15 PM on Sunday, August 19, 2018 peacefully at Pennknoll Village, surrounded by her family. Born in Bedford on January 31, 1926, she was the daughter of the late Scott L. and Lena (Anderson) Dibert. Mary worked at the Carriage House, as a seamstress for friends and family, cleaned houses and was a lifelong farmer. A member of Messiah Lutheran Church in Bedford, she also belonged to the Bedford Grange, was a member of the Bedford County Promona Grange and a Lifetime member of the Modern Woodmen of the World. She was the widow of Richard W. Robinette whom she was married to on April 21, 1946 until his death in 1993. She is survived by her sister Sara L. Grubb-Ford, wife of Bill, Bedford, Sara's children Curtis Grubb, Joyce Mock, Janis "Fran" Hillegass, Charlene Fisher and Cary Grubb. Preceded in death by her infant son, Terry Walter and Sister Ruth Fleegle. Mary is also survived by Ruth's children, Karen Hartman, Sharon Steach,Duane Fleegle, Keith Fleegle, her recently deceased brother Scott Eugene Dibert's children, Gloria Imler, Robert Dibert, Ronald Dibert, John Dibert and Jamie Martinez. A funeral service will be held at 11AM on Thursday, August 23, 2018 at Louis Geisel Funeral Home in Bedford with Reverend Paul Claycomb officiating. Interment at St James Lutheran Cemetery Bedford, PA.
Memorial Contributions can be made to Messiah Lutheran Church, C/O Joanne Hammond, 741 Messiah Church Road Bedford, Pa 15522. Friends will be received Wednesday, August 22nd, from 2-4 and 6-8PM at Louis Geisel Funeral Home. Online condolences may be expressed at www.geiselfuneral.com.